Because we are flexible and we like to listen to our client's needs, we give you the option to build your own epic journey! Curaçao has so many authentic and untouched beaches! If you wish to do a Gone Beach Hopping tour including a drink package, let us know! Colonial Houses are mansions that were built in the end of the 1700's. These mansions were used by the owners of the plantation in the slave era. These buildings were strategicly placed to have the best view over their plantation. There are approximately 160 Landhuizen in Curaçao, some are in ruines and some are now gouvernamental buildings and some have been transformed into beautiful museums. Most of these old buildings are closed off to the public, but it is still possible to take nice pictures of these magnificent mansions. This national park is a must-visit when you decide to spend some time in Curaçao. Once you venture into this beauty of the island, you will discover many inlets which is home of 3 species of turtle nest. In Shete Boka, there is a variety of coves to explore where you can admire large and unpredictable waves crashing against an underground cave! Do you wish to encounter the diversity of the flora and fauna of the island? 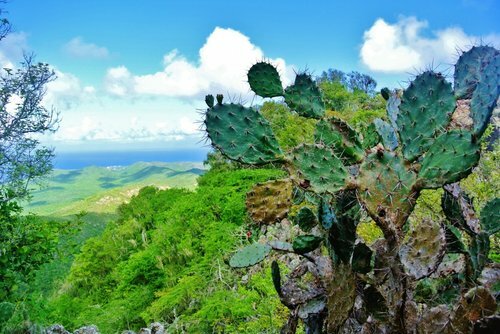 We invite you to apreciate this gem of Curaçao by a half day hike to the top of the highest point of the country or by camping in the wilderness for a night and by learning the history of this park thanks to its museum center. Add a captivating activity to your day trip to discover more about the culture of the island and it's beauty! To build your personalized trip, contact us by clicking on the link below!